Not to be confused with the former Kingdom of Benin. For other uses, see Benin (disambiguation). Cotonou is the seat of government. Benin (/bɛˈniːn/ ( listen) beh-NEEN, /bɪˈniːn/ bih-NEEN; French: Bénin [benɛ̃]), officially the Republic of Benin (French: République du Bénin) and formerly Dahomey, is a country in West Africa. It is bordered by Togo to the west, Nigeria to the east, and Burkina Faso and Niger to the north. The majority of its population lives on the small southern coastline of the Bight of Benin, part of the Gulf of Guinea in the northernmost tropical portion of the Atlantic Ocean. The capital of Benin is Porto-Novo, but the seat of government is in Cotonou, the country's largest city and economic capital. Benin covers an area of 114,763 square kilometres (44,310 sq mi) and its population in 2016 was estimated to be approximately 10.87 million. 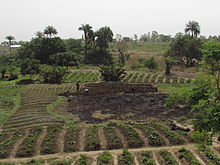 Benin is a tropical nation, highly dependent on agriculture. Benin is a large exporter of cotton and palm oil. The substantial employment and income arise from subsistence farming. The official language of Benin is French. However, indigenous languages such as Fon and Yoruba are commonly spoken. The largest religious group in Benin is Roman Catholicism, followed closely by Islam, Vodun and Protestantism. Benin is a member of the United Nations, the African Union, the Organisation of Islamic Cooperation, the South Atlantic Peace and Cooperation Zone, La Francophonie, the Community of Sahel-Saharan States, the African Petroleum Producers Association and the Niger Basin Authority. From the 17th to the 19th century, the main political entities in the area were the Kingdom of Dahomey, along with the city-state of Porto-Novo, and a large area with many different nations to the north. This region was referred to as the Slave Coast from as early as the 17th century due to the large number of enslaved people who were shipped to the New World during the Trans-Atlantic slave trade. After enslavement was abolished, France took over the country and renamed it French Dahomey. In 1960, Dahomey gained full independence from France. The sovereign state has had a tumultuous history since then, with many different democratic governments, military coups, and military governments. A Marxist–Leninist state called the People's Republic of Benin existed between 1975 and 1990. 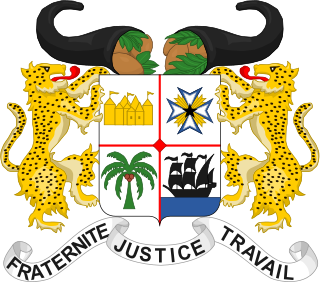 In 1991, it was replaced by the current multi-party Republic of Benin. During the colonial period and at independence, the country was known as Dahomey. On 30 November 1975, it was renamed to Benin, after the body of water on which the country lies—the Bight of Benin. This had been named by Europeans after the Benin Empire in present-day Nigeria. The country of Benin has no connection to Benin City in modern Nigeria, nor to the Benin bronzes. The form "Benin" is the result of a Portuguese corruption of the city of Ubinu (now Benin City). 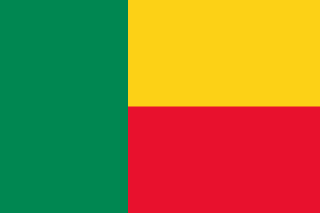 The new name, Benin, was chosen for its neutrality. Dahomey was the name of the former Fon Kingdom of Dahomey, which was limited to most of the southern third of the present country and therefore did not represent Porto-Novo (a rival Yoruba state in the south), central Benin (which is also dominated by the Yoruba), the multi-ethnic northwestern sector Atakora, nor the Bariba Kingdom of Borgu, which covered the northeastern district. The current country of Benin combines three areas which had distinctly different political systems and ethnicities prior to French colonial control. Before 1700, there were a few important city-states along the coast (primarily of the Aja ethnic group, but also including Yoruba and Gbe peoples) and a mass of tribal regions inland (composed of Bariba, Mahi, Gedevi, and Kabye peoples). The Oyo Empire, located primarily to the east of modern Benin, was the most significant large-scale military force in the region. It regularly conducted raids and exacted tribute from the coastal kingdoms and the tribal regions. The situation changed in the 1600s and early 1700s as the Kingdom of Dahomey, consisting mostly of Fon people, was founded on the Abomey plateau and began taking over areas along the coast. By 1727, king Agaja of the Kingdom of Dahomey had conquered the coastal cities of Allada and Whydah, but it had become a tributary of the Oyo empire and did not directly attack the Oyo allied city-state of Porto-Novo. The rise of the kingdom of Dahomey, the rivalry between the kingdom and the city of Porto-Novo, and the continued tribal politics of the northern region, persisted into the colonial and post-colonial periods. The Dahomey Kingdom was known for its culture and traditions. Young boys were often apprenticed to older soldiers, and taught the kingdom's military customs until they were old enough to join the army. Dahomey was also famous for instituting an elite female soldier corps, called Ahosi, i.e. the king's wives, or Mino, "our mothers" in the Fon language Fongbe, and known by many Europeans as the Dahomean Amazons. This emphasis on military preparation and achievement earned Dahomey the nickname of "black Sparta" from European observers and 19th-century explorers such as Sir Richard Burton. Map of the Kingdom of Dahomey, 1793. The kings of Dahomey sold their war captives into transatlantic slavery. They also had a practice of killing war captives in a ceremony known as the Annual Customs. By about 1750, the King of Dahomey was earning an estimated £250,000 per year by selling African captives to European slave-traders. Though the leaders of Dahomey appear to have initially resisted the slave trade, it flourished in the region of Dahomey for almost three hundred years, beginning in 1472 with a trade agreement with Portuguese merchants. The area was named the "Slave Coast" because of this flourishing trade. Court protocols, which demanded that a portion of war captives from the kingdom's many battles be decapitated, decreased the number of enslaved people exported from the area. The number went from 102,000 people per decade in the 1780s to 24,000 per decade by the 1860s. The decline was partly due to the Slave Trade Act 1807 banning the trans-Atlantic slave trade by Britain and the United States following in 1808, followed by other countries. This decline continued until 1885, when the last slave ship departed from the coast of the modern Benin Republic bound for Brazil in South America, which had yet to abolish slavery. The capital's name Porto-Novo is of Portuguese origin, meaning "New Port". It was originally developed as a port for the slave trade. By the middle of the nineteenth century, Dahomey had begun to weaken and lose its status as the regional power. This enabled the French to take over the area in 1892. In 1899, the French included the land called French Dahomey within the larger French West Africa colonial region. In 1958, France granted autonomy to the Republic of Dahomey, and full independence on 1 August 1960, which is celebrated each year as Independence Day, a national holiday. The president who led the country to independence was Hubert Maga. For the next twelve years after 1960, ethnic strife contributed to a period of turbulence. There were several coups and regime changes, with the figures of Hubert Maga, Sourou Apithy, Justin Ahomadégbé, and Émile Derlin Zinsou dominating; the first three each represented a different area and ethnicity of the country. These three agreed to form a Presidential Council after violence marred the 1970 elections. On 7 May 1972, Maga ceded power to Ahomadégbé. On 26 October 1972, Lt. Col. Mathieu Kérékou overthrew the ruling triumvirate, becoming president and stating that the country would not "burden itself by copying foreign ideology, and wants neither Capitalism, Communism, nor Socialism". On 30 November 1974 however, he announced that the country was officially Marxist, under control of the Military Council of the Revolution (CMR), which nationalized the petroleum industry and banks. On 30 November 1975, he renamed the country to the People's Republic of Benin. The CMR was dissolved in 1979, and Kérékou arranged show elections in which he was the only allowed candidate. Establishing relations with China, North Korea, and Libya, he put nearly all businesses and economic activities under state control, causing foreign investment in Benin to dry up. Kérékou attempted to reorganize education, pushing his own aphorisms such as "Poverty is not a fatality", resulting in a mass exodus of teachers, along with numerous other professionals. The regime financed itself by contracting to take nuclear waste, first from the Soviet Union and later from France. In 1980, Kérékou converted to Islam and changed his first name to Ahmed. He changed his name back after claiming to be a born-again Christian. In 1989, riots broke out when the regime did not have enough money to pay its army. The banking system collapsed. Eventually, Kérékou renounced Marxism, and a convention forced Kérékou to release political prisoners and arrange elections. Marxism–Leninism was abolished as the nation's form of government. The country's name was officially changed to the Republic of Benin on 1 March 1990, after the newly formed government's constitution was completed. In a 1991 election, Kérékou lost to Nicéphore Soglo. Kérékou returned to power after winning the 1996 vote. In 2001, a closely fought election resulted in Kérékou winning another term, after which his opponents claimed election irregularities. In 1999, Kérékou issued a national apology for the substantial role that Africans had played in the Atlantic slave trade. Kérékou and former president Soglo did not run in the 2006 elections, as both were barred by the constitution's restrictions on age and total terms of candidates. On 5 March 2006, an election was held that was considered free and fair. It resulted in a runoff between Yayi Boni and Adrien Houngbédji. The runoff election was held on 19 March and was won by Boni, who assumed office on 6 April. The success of the fair multi-party elections in Benin won praise internationally. Boni was reelected in 2011, taking 53.18% of the vote in the first round—enough to avoid a runoff election. He was the first president to win an election without a runoff since the restoration of democracy in 1991. 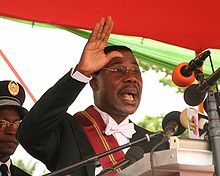 In the March 2016 presidential elections, in which Boni Yayi was barred by the constitution from running for a third term, businessman Patrice Talon won the second round with 65.37% of the vote, defeating investment banker and former Prime Minister Lionel Zinsou. Talon was sworn in on 6 April 2016. Speaking on the same day that the Constitutional Court confirmed the results, Talon said that he would "first and foremost tackle constitutional reform", discussing his plan to limit presidents to a single term of five years in order to combat "complacency". He also said that he planned to slash the size of the government from 28 to 16 members. Benin's politics take place in a framework of a presidential representative democratic republic, in which the President of Benin is both head of state and head of government, within a multi-party system. Executive power is exercised by the government. Legislative power is vested in both the government and the legislature. The judiciary is independent of the executive and the legislature. The political system is derived from the 1990 Constitution of Benin and the subsequent transition to democracy in 1991. Benin scored highly in the 2013 Ibrahim Index of African Governance, which comprehensively measures the state of governance across the continent. Benin was ranked 18th out of 52 African countries and scored best in the categories of Safety & Rule of Law and Participation & Human Rights. In its 2007 Worldwide Press Freedom Index, Reporters Without Borders ranked Benin 53rd out of 169 countries. Benin has been rated equal-88th out of 159 countries in a 2005 analysis of police, business, and political corruption. Benin is divided into twelve departments (French: départements) which, in turn, are subdivided into 77 communes. In 1999, the previous six departments were each split into two halves, forming the current twelve. The six new departments were assigned official capitals in 2008. The majority of Benin's population lives in the south. The population is young, with a life expectancy of 62 years. About 42 African ethnic groups live in this country; these various groups settled in Benin at different times and also migrated within the country. 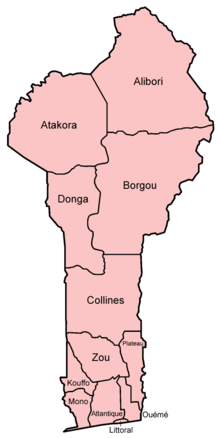 Ethnic groups include the Yoruba in the southeast (migrated from Nigeria in the 12th century); the Dendi in the north-central area (who came from Mali in the 16th century); the Bariba and the Fula in the northeast; the Betammaribe and the Somba in the Atacora Range; the Fon in the area around Abomey in the South Central and the Mina, Xueda, and Aja (who came from Togo) on the coast. Recent migrations have brought other African nationals to Benin that include Nigerians, Togolese, and Malians. The foreign community also includes many Lebanese and Indians involved in trade and commerce. The personnel of the many European embassies and foreign aid missions and of nongovernmental organizations and various missionary groups account for a large part of the 5500 European population. A small part of the European population consists of Beninese citizens of French ancestry. In the 2002 census, 42.8% of the population of Benin were Christian (27.1% Roman Catholic, 5% Celestial Church of Christ, 3.2% Methodist, 7.5% other Christian denominations), 24.4% were Muslim, 17.3% practiced Vodun, 6% practiced other local traditional religions, 1.9% practiced other religions, and 6.5% claimed no religious affiliation. A more recent government survey conducted by the Demographic and Health Surveys Program in 2011-2012 indicated that Christianity had increased to 57.5% of the population (with Catholics making up 33.9%, Methodists 3.0%, Celestials 6.2% and other Christians 14.5%), while Muslims had declined to 22.8%. Traditional religions include local animistic religions in the Atakora (Atakora and Donga provinces), and Vodun and Orisha veneration among the Yoruba and Tado peoples in the center and south of the nation. The town of Ouidah on the central coast is the spiritual center of Beninese Vodun. Today the two largest religions are Christianity, followed throughout the south and center of Benin and in Otammari country in the Atakora, and Islam, introduced by the Songhai Empire and Hausa merchants, and now followed throughout Alibori, Borgou and Donga provinces, as well as among the Yoruba (who also follow Christianity). Many, however, continue to hold Vodun and Orisha beliefs and have incorporated the pantheon of Vodun and Orisha into Christianity. The Ahmadiyya Muslim Community, a sect originating in the 19th century, is also present in a significant minority. 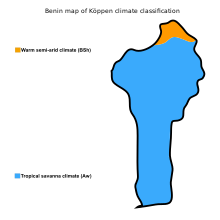 Benin map of Köppen climate classification. Benin, a narrow, north-south strip of land in West Africa, lies between latitudes 6° and 13°N, and longitudes 0° and 4°E. Benin is bounded by Togo to the west, Burkina Faso and Niger to the north, Nigeria to the east, and the Bight of Benin to the south. The distance from the Niger River in the north to the Atlantic Ocean in the south is about 650 km (404 mi). Although the coastline measures 121 km (75 mi), the country measures about 325 km (202 mi) at its widest point. Atakora, one of Benin's two northernmost departments. The Pendjari National Park in Benin is one of the most important reserves for the West African lion and other large animals of West Africa. Benin shows little variation in elevation and can be divided into four areas from the south to the north, starting with the low-lying, sandy, coastal plain (highest elevation 10 m (32.8 ft)) which is, at most, 10 km (6.2 mi) wide. It is marshy and dotted with lakes and lagoons communicating with the ocean. Behind the coast lies the Guinean forest-savanna mosaic-covered plateaus of southern Benin (altitude between 20 and 200 m (66 and 656 ft)), which are split by valleys running north to south along the Couffo, Zou, and Ouémé Rivers. An area of flat land dotted with rocky hills whose altitude seldom reaches 400 m (1,312 ft) extends around Nikki and Save. A range of mountains extends along the northwest border and into Togo; these are the Atacora. The highest point, Mont Sokbaro, is at 658 m (2,159 ft). Benin has fallow fields, mangroves, and remnants of large sacred forests. In the rest of the country, the savanna is covered with thorny scrub and dotted with huge baobab trees. Some forests line the banks of rivers. In the north and the northwest of Benin, the Reserve du W du Niger and Pendjari National Park attract tourists eager to see elephants, lions, antelopes, hippos, and monkeys. Pendjari National Park together with the bordering Parks Arli and W in Burkina Faso and Niger are among the most important strongholds for the endangered West African lion. With an estimated 356 (range: 246–466) lions, W-Arli-Pendjari harbors the largest remaining population of lions in West Africa. Historically Benin has served as habitat for the endangered painted hunting dog, Lycaon pictus; however, this canid is thought to have been locally extirpated. Benin's climate is hot and humid. Annual rainfall in the coastal area averages 1300 mm or about 51 inches. Benin has two rainy and two dry seasons per year. The principal rainy season is from April to late July, with a shorter less intense rainy period from late September to November. The main dry season is from December to April, with a short cooler dry season from late July to early September. Temperatures and humidity are high along the tropical coast. In Cotonou, the average maximum temperature is 31 °C (87.8 °F); the minimum is 24 °C (75.2 °F). Variations in temperature increase when moving north through savanna and plateau toward the Sahel. A dry wind from the Sahara called the Harmattan blows from December to March, when grass dries up, other vegetation turns reddish brown, and a veil of fine dust hangs over the country, causing the skies to be overcast. It is also the season when farmers burn brush in the fields. Benin Exports by Product (2014) from Harvard Atlas of Economic Complexity. Extensive agriculture in north of Benin, near Djougou. The economy of Benin is dependent on subsistence agriculture, cotton production, and regional trade. Cotton accounts for 40% of the GDP and roughly 80% of official export receipts. Growth in real output has averaged around 5% in the past seven years, but rapid population growth has offset much of this increase.[when?] Inflation has subsided over the past several years. Benin uses the CFA franc, which is pegged to the euro. Benin's economy has continued to strengthen over the past years, with real GDP growth estimated at 5.1 and 5.7% in 2008 and 2009, respectively. The main driver of growth is the agricultural sector, with cotton being the country's main export, while services continue to contribute the largest part of GDP largely because of Benin's geographical location, enabling trade, transportation, transit and tourism activities with its neighboring states. Cotton field in northern Benin. In order to raise growth still further, Benin plans to attract more foreign investment, place more emphasis on tourism, facilitate the development of new food processing systems and agricultural products, and encourage new information and communication technology. Projects to improve the business climate by reforms to the land tenure system, the commercial justice system, and the financial sector were included in Benin's US$307 million Millennium Challenge Account grant signed in February 2006. The Paris Club and bilateral creditors have eased the external debt situation, with Benin benefiting from a G8 debt reduction announced in July 2005, while pressing for more rapid structural reforms. An insufficient electrical supply continues to adversely affect Benin's economic growth though the government recently has taken steps to increase domestic power production. Although trade unions in Benin represent up to 75% of the formal workforce, the large informal economy has been noted by the International Trade Union Confederation (ITCU) to contain ongoing problems, including a lack of women's wage equality, the use of child labor, and the continuing issue of forced labor. Benin is a member of the Organization for the Harmonization of Business Law in Africa (OHADA). Cotonou has the country's only seaport and international airport. A new port is currently under construction between Cotonou and Porto Novo. Benin is connected by two-lane asphalted roads to its neighboring countries (Togo, Burkina Faso, Niger, and Nigeria). Mobile telephone service is available across the country through various operators. ADSL connections are available in some areas. Benin is connected to the Internet by way of satellite connections (since 1998) and a single submarine cable SAT-3/WASC (since 2001), keeping the price of data extremely high. Relief is expected with the initiation of the Africa Coast to Europe cable in 2011. Despite the GDP growth rate of 4-5% remaining consistent over the past two decades, poverty has been increasing. According to the National Institute of Statistics and Economic Analysis in Benin, those living under the poverty line has increased from 36.2% in 2011 to 40.1% in 2015. The literacy rate in Benin is among the lowest in the world: in 2015 it was estimated to be 38.4% (49.9% for males and 27.3% for females). Benin has achieved universal primary education and half of the children (54%) were enrolled in secondary education in 2013, according to the UNESCO Institute for Statistics. Although at one time the education system was not free, Benin has abolished school fees and is carrying out the recommendations of its 2007 Educational Forum. The government has devoted more than 4% of GDP to education since 2009. In 2015, public expenditure on education (all levels) amounted to 4.4% of GDP, according to the UNESCO Institute for Statistics. Within this expenditure, Benin devoted quite a large share to tertiary education: 0.97% of GDP. Between 2009 and 2011, the share of young people enrolled at university rose from 10% to 12% of the 18–25 year age cohort, one of the highest ratios in West Africa. Student enrollment in tertiary education more than doubled between 2006 and 2011 from 50,225 to 110,181. These statistics encompass not only bachelor's, master's and Ph.D. programmes but also students enrolled in non-degree post-secondary diplomas. The Ministry of Higher Education and Scientific Research is responsible for implementing science policy The National Directorate of Scientific and Technological Research handles planning and coordination, whereas the National Council for Scientific and Technical Research and National Academy of Sciences, Arts, and Letters each play an advisory role. Financial support comes from Benin's National Fund for Scientific Research and Technological Innovation. The Benin Agency for the Promotion of Research Results and Technological Innovation carries out technology transfer through the development and dissemination of research results. a strategic plan for scientific research and innovation (under development in 2015). Development Plan for Higher Education and Scientific Research 2013–2017 (2014). In 2015, Benin's priority areas for scientific research were: health, education, construction and building materials, transportation and trade, culture, tourism and handicrafts, cotton/textiles, food, energy and climate change. the mismatch between research and development needs. In 2007, Benin counted 1,000 researchers (in headcounts). This corresponds to 115 researchers per million inhabitants. The main research structures in Benin are the Centre for Scientific and Technical Research, National Institute of Agricultural Research, National Institute for Training and Research in Education, Office of Geological and Mining Research and the Centre for Entomological Research. The University of Abomey-Calavi was selected by the World Bank in 2014 to participate in its Centres of Excellence project, owing to its expertise in applied mathematics. Within this project, the World Bank has loaned $8 million to Benin. The Association of African Universities has also received funds to enable it to co-ordinate knowledge-sharing among the 19 universities in West Africa involved in the project. There are no available data on Benin's level of investment in research and development. In 2013, the government devoted 2.5% of GDP to public health. In December 2014, 150 volunteer health professionals travelled to Guinea, Liberia and Sierra Leone from Benin, Côte d'Ivoire, Ghana, Mali, Niger, and Nigeria, as part of a joint initiative by the Economic Community of West African States (ECOWAS) and its specialized agency, the West African Health Organisation, to help combat the epidemic. The Ebola epidemic has been a tragic reminder of the chronic underinvestment in West African health systems. The Government of Benin devoted less than 5% of GDP to agricultural development in 2010, even though the members of the African Union had agreed to commit at least 10% of GDP to this area in the Maputo Declaration of 2003. They reiterated this goal in the Malabo Declaration adopted in Equatorial Guinea in 2014. In the latter declaration, they reaffirmed their 'intention to devote 10% of their national budgets to agricultural development and agreed to targets such as doubling agricultural productivity, halving post-harvest loss and bringing stunting down to 10% across Africa'. However, African leaders meeting in Equatorial Guinea failed to resolve the debate on establishing a common standard of measurement for the 10% target. Benin has the third-highest publication intensity for scientific journals in West Africa, according to Thomson Reuters' Web of Science, Science Citation Index Expanded. There were 25.5 scientific articles per million inhabitants cataloged in this database in 2014. This compares with 65.0 for the Gambia, 49.6 for Cape Verde, 23.2 for Senegal and 21.9 for Ghana. The volume of publications in this database tripled in Benin between 2005 and 2014 from 86 to 270. Between 2008 and 2014, Benin's main scientific collaborators were based in France (529 articles), United States (261), United Kingdom (254), Belgium (198) and Germany (156). Transport in Benin includes road, rail, water and air transportation. Benin possesses a total of 6,787 km of highway, of which 1,357 km are paved. Of the paved highways in the country, there are 10 expressways. This leaves 5,430 km of unpaved road. The Trans-West African Coastal Highway crosses Benin, connecting it to Nigeria to the east, and Togo, Ghana and Ivory Coast to the west. When construction in Liberia and Sierra Leone is finished, the highway will continue west to seven other Economic Community of West African States (ECOWAS) nations. A paved highway also connects Benin northwards to Niger, and through that country to Burkina Faso and Mali to the north-west. Rail transport in Benin consists of 578 km (359 mi) of single track, 1,000 mm (3 ft 3 3⁄8 in) metre gauge railway. Benin does not, at this time, share railway links with adjacent countries, but construction work has commenced on international lines connecting Benin with Niger and Nigeria, with outline plans announced for further connections to Togo and Burkina Faso. Benin will be a participant in the AfricaRail project. Cadjehoun Airport, located at Cotonou, has direct international jet service to Accra, Niamey, Monrovia, Lagos, Ouagadougou, Lomé, and Douala, as well as other cities in Africa. Direct services also link Cotonou to Paris, Brussels, and Istanbul. The HIV/AIDS rate in Benin was estimated in 2013 at 1.13% of adults aged 15–49 years. Malaria is a problem in Benin, being a leading cause of morbidity and mortality among children younger than five years. During the 1980s, less than 30% of the country's population had access to primary health care services. Benin had one of the highest death rates for children under the age of five in the world. Its infant mortality rate stood at 203 deaths for every 1000 live births. Only one in three mothers had access to child health care services. The Bamako Initiative changed that dramatically by introducing community-based healthcare reform, resulting in more efficient and equitable provision of services. As of 2015[update], Benin had the 26th highest rate of maternal mortality in the world. According to a 2013 UNICEF report, 13% of women had undergone female genital mutilation. A comprehensive approach strategy was extended to all areas of healthcare, with subsequent improvement in the health care indicators and improvement in health care efficiency and cost. Demographic and Health Surveys has completed three surveys in Benin since 1996. 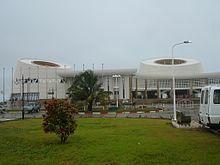 Palais Des Congres in Cotonou. Beninese literature had a strong oral tradition long before French became the dominant language. Félix Couchoro wrote the first Beninese novel, L'Esclave (The Slave), in 1929. Post-independence, the country was home to a vibrant and innovative music scene, where native folk music combined with Ghanaian highlife, French cabaret, American rock, funk and soul, and Congolese rumba. Singer Angélique Kidjo and actor Djimon Hounsou were born in Cotonou, Benin. Composer Wally Badarou and singer Gnonnas Pedro are also of Beninese descent. Biennale Benin, continuing the projects of several organizations and artists, started in the country in 2010 as a collaborative event called "Regard Benin". In 2012, the project became a Biennial coordinated by the Consortium, a federation of local associations. The international exhibition and artistic program of the 2012 Biennale Benin are curated by Abdellah Karroum and the Curatorial Delegation. A number of Beninese artists have received major international recognition, such as Georges Adéagbo, Meschac Gaba, Romuald Hazoumè, Dominique Zinkpè or Emo de Medeiros. 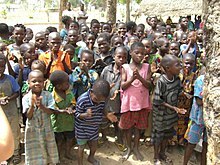 Many Beninese in the south of the country have Akan-based names indicating the day of the week on which they were born. This is due to influence of the Akan people like the Akwamu and others. Local languages are used as the languages of instruction in elementary schools, with French only introduced after several years. In wealthier cities, however, French is usually taught at an earlier age. At the secondary School level, local language is generally forbidden and French is the sole language of instruction. Beninese languages are generally transcribed with a separate letter for each speech sound (phoneme), rather than using diacritics as in French or digraphs as in English. This includes Beninese Yoruba, which in Nigeria is written with both diacritics and digraphs. For instance, the mid vowels are written é è, ô, o in French are written e, ɛ, o, ɔ in Beninese languages, whereas the consonants are written ng and sh or ch in English are written ŋ and c. However, digraphs are used for nasal vowels and the labial-velar consonants kp and gb, as in the name of the Fon language Fon gbe /fõ ɡ͡be/, and diacritics are used as tone marks. In French-language publications, a mixture of French and Beninese orthographies may be seen. 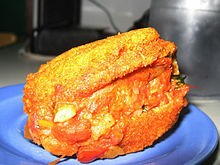 Acarajé is peeled black-eyed peas formed into a ball and then deep-fried. Beninese cuisine is known in Africa for its exotic ingredients and flavorful dishes. Beninese cuisine involves fresh meals served with a variety of key sauces. In southern Benin cuisine, the most common ingredient is corn, often used to prepare dough which is mainly served with peanut- or tomato-based sauces. Fish and chicken are the most common meats used in southern Beninese cuisine, but beef, goat, and bush rat are also consumed. The main staple in northern Benin is yams, often served with sauces mentioned above. The population in the northern provinces use beef and pork meat which is fried in palm or peanut oil or cooked in sauces. Cheese is used in some dishes. Couscous, rice, and beans are commonly eaten, along with fruits such as mangoes, oranges, avocados, bananas, kiwi fruit, and pineapples. Meat is usually quite expensive, and meals are generally light on meat and generous on vegetable fat. Frying in palm or peanut oil is the most common meat preparation, and smoked fish is commonly prepared in Benin. Grinders are used to prepare corn flour, which is made into a dough and served with sauces. "Chicken on the spit" is a traditional recipe in which chicken is roasted over a fire on wooden sticks. Palm roots are sometimes soaked in a jar with salt water and sliced garlic to tenderize them, then used in dishes. Many people have outdoor mud stoves for cooking. Football is generally considered the most popular sport in Benin. In the past decade, baseball has been introduced to the country. ^ a b Annuaire statistique 2010 (PDF) (Report) (in French). INSAE. 2012. p. 49. Archived (PDF) from the original on 4 March 2016. Retrieved 17 December 2015. ^ "BENIN en Chiffres" [BENIN in Figures]. INSAE (in French). Archived from the original on 17 December 2015. Retrieved 17 December 2015. ^ Jones, Daniel (2011). Roach, Peter; Setter, Jane; Esling, John, eds. Cambridge English Pronouncing Dictionary (18th ed.). Cambridge University Press. ISBN 978-0-521-15255-6. ^ Hughes, R. H.; Hughes, J. S. (1992). A Directory of African Wetlands. IUCN. p. 301. ISBN 978-2-88032-949-5. Archived from the original on 8 May 2016. Retrieved 12 October 2015. ^ "Food and Agriculture Organization of the United Nations" Archived 24 October 2012 at the Wayback Machine. United Nations, 29 June 2010. ^ "Benin – International Cooperation" Archived 27 September 2010 at the Wayback Machine. Nation Encyclopedia (29 June 2010). ^ Lea, David; Rowe, Annamarie, eds. (2001). A Political Chronology of Africa. Taylor & Francis. p. 33. ISBN 978-1-85743-116-2. Archived from the original on 3 June 2016. Retrieved 12 October 2015. ^ Smith, Bonnie G., ed. (2008). The Oxford Encyclopedia of Women in World History, Volume 1. Oxford University Press. p. 535. ISBN 978-0-19-514890-9. Archived from the original on 22 November 2015. Retrieved 12 October 2015. ^ Bay, Edna (1998). Wives of the Leopard: Gender, Politics, and Culture in the Kingdom of Dahomey. University of Virginia Press. ^ Akinjogbin, I.A. (1967). Dahomey and Its Neighbors: 1708–1818. Cambridge University Press. OCLC 469476592. ^ Law, Robin (1986). "Dahomey and the Slave Trade: Reflections on the Historiography of the Rise of Dahomey". The Journal of African History. 27 (2): 237–267. doi:10.1017/s0021853700036665. ^ Creevey, Lucy; Ngomo, Paul; Vengroff, Richard (2005). "Party Politics and Different Paths to Democratic Transitions: A Comparison of Benin and Senegal". Party Politics. 11 (4): 471–493. doi:10.1177/1354068805053213. ^ Harms, Robert W. (2002). The Diligent: A Voyage Through the Worlds of the Slave Trade. Basic Books. p. 172. ISBN 978-0-465-02872-6. Archived from the original on 9 May 2016. Retrieved 12 October 2015. ^ Alpern, Stanley B. (1998). Amazons of Black Sparta: The Women Warriors of Dahomey. C. Hurst & Co. Publishers. p. 37. ISBN 978-1-85065-362-2. Archived from the original on 6 May 2016. Retrieved 12 October 2015. ^ Manning, Patrick (1982). 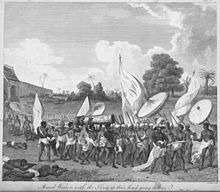 Slavery, Colonialism and Economic Growth in Dahomey, 1640–1960. London: Cambridge University Press. ^ "President Sirleaf congratulates Benin on 57th Independence Anniversary". Agence de Presse Africane. 31 July 2017. Archived from the original on 30 July 2018. Retrieved 30 July 2018. ^ Stokes, Jamie, ed. (2009). Encyclopedia of the Peoples of Africa and the Middle East: L to Z. Infobase Publishing. p. 229. ISBN 978-0-8160-7158-6. Archived from the original on 3 May 2016. Retrieved 12 October 2015. ^ Araujo, Ana Lucia (2010). Public Memory of Slavery: Victims and Perpetrators in the South Atlantic. Cambria Press. p. 111. ISBN 978-1-60497-714-1. Archived from the original on 17 June 2016. Retrieved 12 October 2015. ^ Dickovick, J. Tyler (9 August 2012). Africa 2012. Stryker Post. p. 69. ISBN 978-1-61048-882-2. Archived from the original on 2 June 2013. Retrieved 5 March 2013. ^ Houngnikpo, Mathurin C.; Decalo, Samuel (14 December 2012). Historical Dictionary of Benin. Rowman & Littlefield. p. 33. ISBN 978-0-8108-7171-7. Archived from the original on 23 April 2014. Retrieved 5 March 2013. ^ a b c d Kneib, Martha. Benin. pp. 22–25. ISBN 0-7614-2328-1. ^ "A Short History of the People's Republic of Benin (1974–1990)". Socialist.net. 27 August 2008. Archived from the original on 23 April 2010. Retrieved 2 May 2010. ^ "Benin". Flagspot.net. Archived from the original on 12 June 2010. Retrieved 2 May 2010. ^ "Businessman sworn in as Benin's president". Reuters. 6 April 2016. Archived from the original on 17 April 2016. Retrieved 1 May 2016. ^ "Newly-elected Benin president aims to reduce presidential terms". Reuters. 26 March 2016. Archived from the original on 3 May 2016. Retrieved 1 May 2016. ^ "2014 Ibrahim Index of African Governance (IIAG)". Mo Ibrahim Foundation. 2014. Archived from the original on 30 May 2013. Retrieved 16 April 2015. ^ "Countries Compared by Government > Government corruption rating. International Statistics at NationMaster.com". nationmaster.com. Archived from the original on 8 February 2011. Retrieved 13 February 2011. ^ Communiqué du Conseil des Ministres du 22 Juin 2016 | Portail Officiel du Gouvernement Béninois. Gouv.bj (22 June 2016). Retrieved on 2017-01-02. ^ Bénin : liste des 12 nouveaux préfets et des chefs-lieux de départements. Lanouvelletribune.info. Retrieved on 2017-01-02. ^ Benin. Geohive.com. Retrieved on 2017-01-02. ^ a b c d e "Background Note: Benin" Archived 23 June 2017 at the Wayback Machine. U.S. Department of State (June 2008). This article incorporates text from this source, which is in the public domain. ^ International Religious Freedom Report 2007: Benin Archived 19 January 2012 at the Wayback Machine. United States Bureau of Democracy, Human Rights and Labor (14 September 2007). This article incorporates text from this source, which is in the public domain. ^ "Enquête Démographique et de Santé (EDSB-IV) 2011-2012" (PDF) (in French). Ministère du Développement, de l'Analyse Économique et de la Prospective Institut National de la Statistique et de l'Analyse Économique (INSAE). p. 39. Archived (PDF) from the original on 23 June 2017. Retrieved 20 April 2018. ^ Henschel, P.; Coad, L.; Burton, C.; Chataigner, B.; Dunn, A.; MacDonald, D.; Saidu, Y.; Hunter, L. T. B. (2014). Hayward, Matt, ed. "The Lion in West Africa is Critically Endangered". PLoS ONE. 9: e83500. doi:10.1371/journal.pone.0083500. PMC 3885426. PMID 24421889. ^ "Background Note: Benin". State.gov. 3 February 2010. Archived from the original on 3 May 2010. Retrieved 2 May 2010. ^ "2006 Benin Compact Summary" (PDF). Millennium Challenge Corporation. 2006. Archived from the original (PDF) on 3 February 2016. Retrieved 16 April 2015. ^ "OHADA.com: The business law portal in Africa". Archived from the original on 26 March 2009. Retrieved 22 March 2009. ^ "The World Bank In Benin". The World Bank. 10 October 2017. Archived from the original on 9 March 2018. Retrieved 14 March 2018. ^ International Monetary Fund. African Dept. (2017). Benin: Request for a Three-year Arrangement Under the Extended Credit Facility-Press Release; Staff Report; and Statement by the Executive Director for Benin. International Monetary Fund. p. 5. ^ "Benin". Country Reports on Human Rights Practices. U. S. Department of State. 23 February 2001. Archived from the original on 28 August 2010. Retrieved 17 September 2010. ^ "Benin". U. N. Educational, Scientific and Cultural Organization. Archived from the original on 13 September 2010. Retrieved 17 September 2010. ^ a b c d e f g h i j k Essegbey, George; Diaby, Nouhou; Konté, Almamy (2015). West Africa. In: UNESCO Science Report: towards 2030 (PDF). Paris: UNESCO. pp. 471–497. ISBN 978-92-3-100129-1. Archived (PDF) from the original on 30 June 2017. Retrieved 12 June 2017. ^ "One Applauds AU Malabo Declaration's Recommitment to Agriculture Transformation". ONE.org. 2 July 2014. Archived from the original on 10 October 2017. Retrieved 12 June 2017. ^ "HIV/AIDS—Adult Prevalence Rate". The World Factbook. Central Intelligence Agency. Archived from the original on 21 December 2014. Retrieved 16 April 2015. ^ "Malaria in Benin". malaria.com. 24 February 2011. Archived from the original on 22 January 2015. Retrieved 16 April 2015. ^ "Bamako Initiative revitalizes primary health care in Benin". WHO.int. Archived from the original on 6 January 2007. Retrieved 28 December 2006. ^ "Maternal Mortality Rate". The World Factbook. Central Intelligence Agency. Archived from the original on 18 April 2015. Retrieved 16 April 2015. ^ "Implementation of the Bamako Initiative: strategies in Benin and Guinea". NIH.gov. Retrieved 28 December 2006. ^ "Benin". Archived from the original on 13 August 2011. Retrieved 30 July 2007. ^ Mozey, Brian. (22 June 2016) Duo develops nonprofit organization, Baseball in Benin | Archived 5 August 2016 at the Wayback Machine. Post.mnsun.com. Retrieved on 2 January 2017. Scholia has a topic profile for Benin. "Benin". The World Factbook. Central Intelligence Agency. Cotonou is the largest city and economic centre of Benin. Porto-Novo is the capital of Benin, and was the capital of French Dahomey. The commune covers an area of 110 square kilometres (42 sq mi) and as of 2002 had a population of 223,552 people. 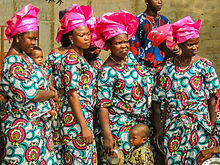 The demographics of Benin include population density, ethnicity, education level, health of the populace, economic status, religious affiliations and other aspects of the population. After seizing power in 1972, Major Mathieu Kérékou declared Dahomey a Marxist-Leninist state and sought financial support from communist governments in Eastern Europe and Asia. To distance the modern state from its colonial past, the country became the People's Republic of Benin in 1975. However, Benin dropped the socialist ideology in 1989 following pressure from creditors and domestic unrest related to economic hardship. Mathieu Kérékou was a Beninese politician who served as President of Benin from 1972 to 1991 and again from 1996 to 2006. After seizing power in a military coup, he ruled the country for 19 years, for most of that time under an officially Marxist–Leninist ideology, before he was stripped of his powers by the National Conference of 1990. He was defeated in the 1991 presidential election but was returned to the presidency in the 1996 election and controversially re-elected in 2001. Benin has played an important role in the African music scene, producing one of the biggest stars to come out of the continent in Angélique Kidjo. Post-independence, the country was home to a vibrant and innovative music scene, where native folk music combined with Ghanaian highlife, French cabaret, American rock, funk and soul, and Congolese rumba. It also has a rich variety of ethnomusicological traditions. Ouidah or Whydah, formerly the Kingdom of Whydah, is a city on the coast of the Republic of Benin. The commune covers an area of 364 km2 (141 sq mi) and as of 2002 had a population of 76,555 people. Parakou is the largest city in northern Benin, with an estimated population of around 206,667 people, and capital of the Borgou Department. The mayor as of 2008 was Samou Seidou Adambi and administratively the commune of Parakou makes up one of Benin's 77 communes. Since 2015, the mayor is Souradjou Adamou Karimou. Nicéphore Dieudonné Soglo is a Beninese politician who was Prime Minister of Benin from 1990 to 1991 and President from 1991 to 1996. He was Mayor of Cotonou from 2003 to 2015. Soglo is married to Rosine Vieyra Soglo, the Beninois former First Lady and politician. French Dahomey was a French colony of and a part of French West Africa from 1904 to 1958. After World War II, by the establishment of the French Fourth Republic in 1947, Dahomey became part of the French Union with an increased autonomy. On 11 December 1958, the French Fifth Republic was established and the French Union became the French Community. The colony became the self-governing Republic of Dahomey within the Community, and two years later on 1 August 1960, it gained full independence. Benin has a total of 578 km (359 mi) of single track, 1,000 mm railway. Rail construction began around 1900, with regular services commencing in 1906; rail operation was taken into government control in 1930. This is a survey of the postage stamps and postal history of Benin, formerly Dahomey. Vodun art is associated with the West African Vodun religion of Nigeria, Benin, Togo and Ghana. The term is sometimes used more generally for art associated with related religions of West and Central Africa and of the African diaspora in Brazil, the Caribbean and the United States. Art forms include bocio, carved wooden statues that represent supernatural beings and may be activated through various ritual steps, and Asen, metal objects that attract spirits of the dead or other spirits and give them a temporary resting place. Vodun is assimilative, and has absorbed concepts and images from other parts of Africa, India, Europe and the Americas. Chromolithographs representing Indian deities have become identified with traditional Vodun deities and used as the basis for murals in Vodun temples. The Ouidah '92 festival, held in Benin in 1993, celebrated the removal of restrictions on Vodun in that country and began a revival of Vodun art.